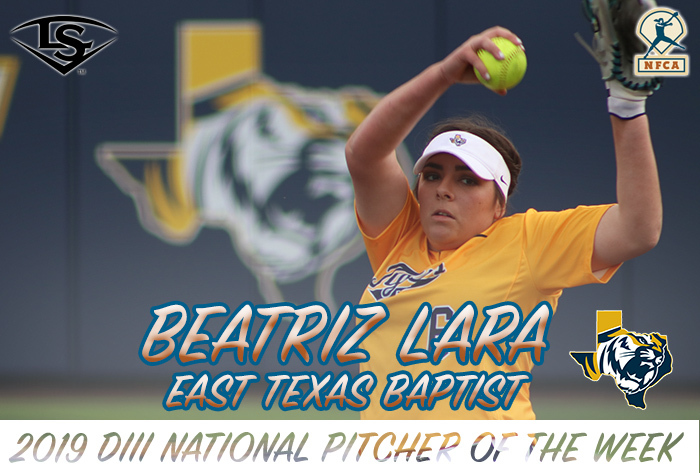 LOUISVILLE, Ky. — East Texas Baptist University’s Beatriz Lara and the University of St. Thomas’ Chase Shortly captured the first Louisville Slugger/NFCA Division III National Pitcher and Player of the Week honors of the season, respectively, on Wednesday. Freshman right-hander Lara struck out nine and allowed just one hit in an 8-0 six-inning shutout of American Southwest Conference foe Belhaven on Saturday. She retired the first five batters before Danielle Darmohray’s single in the second, then retired the final 12 batters — five by strikeout. 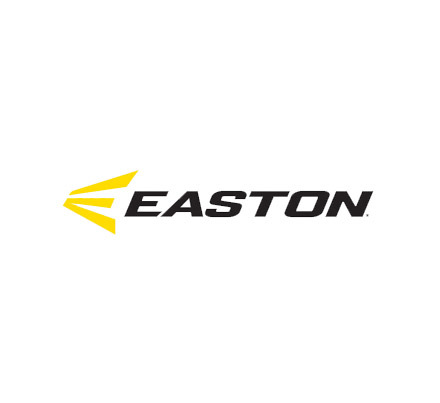 Orange Grove (Texas) High graduate Lara also helped herself at the plate in a pair of wins, going 4-for-8 (.500) with two runs scored, a home run and three runs batted in. Shortly, meanwhile hit .714 (10-for-14) with four runs scored, six doubles, a triple and 12 RBI over four games for the Tommies last week. The Forest Lake, Minn., native had three hits in her first two games, and two apiece in the other two. She was 3-for-4 with two doubles, a triple and five RBI in St. Thomas’ season opener on Saturday against Buena Vista. Winners are selected by the NFCA Division III Top 25 Committee, which has a representative for each of the eight NCAA regions. Feb. 27— Chase Shortly, University of St. Thomas, Sr., C/INF, Forest Lake, Minn.